Product prices and availability are accurate as of 2019-04-21 04:00:48 UTC and are subject to change. Any price and availability information displayed on http://www.amazon.com/ at the time of purchase will apply to the purchase of this product. 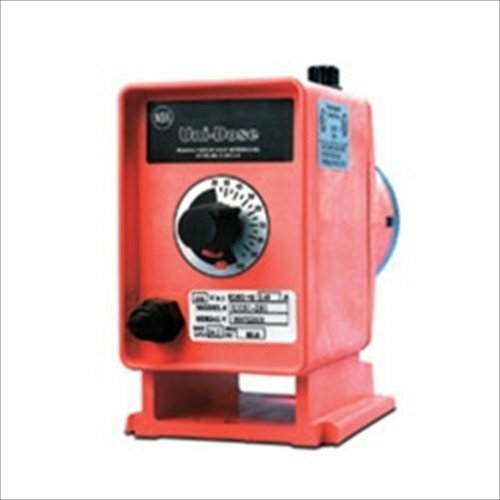 LMI Uni-Dose Pumps are ideal for use as irrigation rust control pumps as well as chlorine pumps and a wide variety of chemical feed applications. Versatile and Flexible - Available with single or dual output control for easy, accurate adjustment over the operating range. Turndown ratio up to 500:1 provides unmatched flexibility. Quiet & Reliable - Advanced noise reduction virtually silences the Uni-Dose Pump, making it ideal for residential applications. Totally enclosed, chemically resistant housings provide superior protection in indoor or outdoor application. Efficient solenoid design provides power without troublesome fans, open housings motors or gears associated with motor driven pumps. Safe - Inherent pressure relief stops the pump if the system back pressure exceeds the pumps strength. Thermostatic protection prevents damage from overheating. Standard Accessories - Each Uni-Dose pump comes complete with a priming valve, injection check/back pressure valve, foot valve with strainer, PVC suction tubing, UV resistant PE discharge tubing and a suction tubing straightener. Heads and fittings are constructed of high strength PVC.